To any avid hunter or shooter, EOTech is a familiar brand as they have become reputed for making good quality gun accessories over the years. Particularly, their holographic sights are top notch invention for the gun lovers. These gun sights have a wonderful depth-perceiving ability and this technology makes it a stand out product in the market. Because of this high quality, they are a bit costly. That is where the introduction of EOTech clones was a must for the common outdoor people. 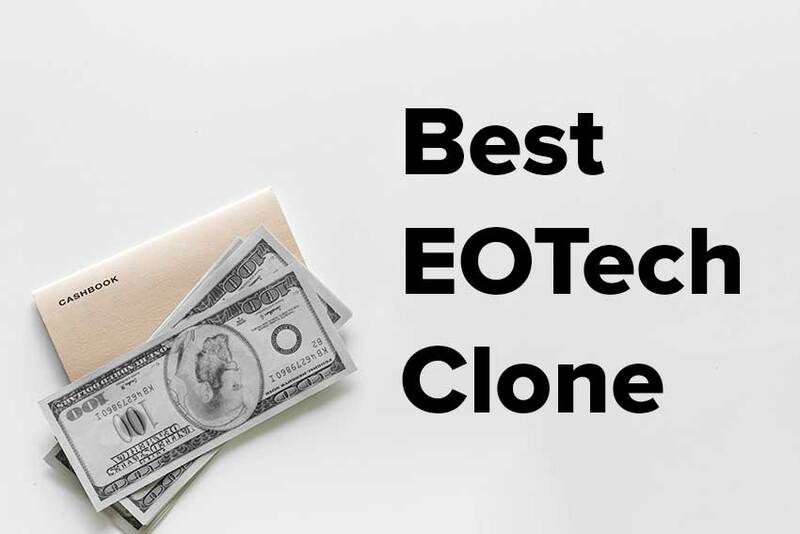 And, that is why we’ve made an effort to present you with the best EOTech clones for having an optimum replacement for the best EOTech holographic sights. So, let’s find out those best clones that were handpicked from a vast number of them just for you! What is an EOTech Holographic Sight? The Field Sport Reflex Sight is a popular choice for many shooters and hunters who love to have rapid shots on any moving targets. 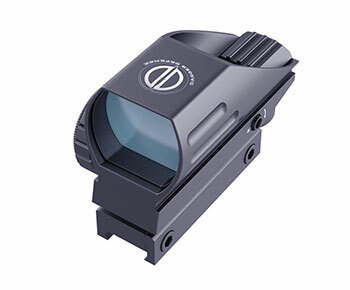 This high-quality aircraft grade aluminum made sight is very light in weight. It is built to resist water and has a shockproof body which enhances the performance greatly. The reflex sight famously has 4 reticle patterns which are the single dot, dot in a circle, crosshair, and crosshair with a circle. So, you can have a wide variety of choices which is great to have plenty of eye-relief. There are two color options for the reflex sight. They are red and green which have five brightness level for each. When you are using it for indoor shooting, pick number 1 brightness level. Because you don’t need too much brightness in indoor. But for outside in bright sunshine, you may opt for having the top brightness level 5. For each of the selection of the reticles, you will need to adjust the sight by zeroing it. It will be easy for you if you can choose one reticle and stick to it. That will ensure easy recoiling. There are two Allen head screws for adjusting the elevation and windage with respect to best aimpoints. The elevation hole is at the top of the body and the windage hole at the side. The body is built in Picatinny mounting base that helps to remount the sight with maximum ease. It has a dovetail-shaped mounting structure measuring 3/8” for air guns and crossbows. The tubeless design has a multi-coated lens and a black finish. These close quarters combat reflex sight comes with a thermoplastic dust cover for its lens. It’s a wonderful clone of the EOTech products that will serve you with high value. The next competitor is the Dagger Defense DDHB, which is also a reflex sight with high-performance history. This awesome sight also has four reticles like the previous one which are the dot, dot in a circle, crosshair, and crosshair with a circle. There are two color options for the brightness level. As usual, you need to choose the brightness level according to your need. In low light condition, low brightness will do. The sight is made from high-grade aluminum similar to aircraft. This DDHB includes a hex wrench to adjust the elevation. When the target moves up, you need to elevate the sight. This doesn’t mean the uplifting of reticles rather the sight because of the target. You can also adjust the windage through the hex wrench as you need. There is a rotary knob for the selection of reticle color and brightness level. The knob also holds the CR20132 lithium battery that comes with the package. When you want to set the zero lock, you need to use the hex wrench. But remember that, you only need to use the zero set screw when the zero is not holding. When needed, you should turn the set screw 1-2 times clockwise for further locking of the zero. Again, only if the zero isn’t holding. That is because it is a free-floating screw and there is a risk of damaging the unit for unnecessary or overturning of the screw than needed. The black finish Picatinny clone sight comes with an instruction manual and a cloth for lens cleaning. The CVLIFE Reflex Sight is a superb addition to the EOTech clone series as it can supplement easily in target shooting and hunting. It can aim at quickly moving subjects with maximum accuracy. The sight has four reticle types as usual. They are circle dot, cross, 10 MOA, and 3 MOA. This is a reflex type sight that offers two color options in brightness selection. 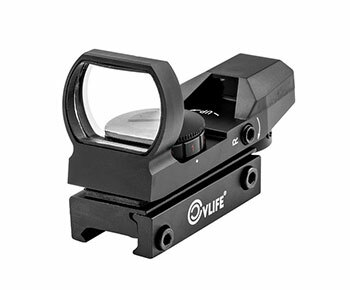 There are five brightness categories for this CVLIFE gun sight scope. Red and green illumination create the best target acquisition possible for any shooter or hunter. It’s made of high-grade aluminum alloy which makes the dot sight lightweight and durable. The sight is shockproof and can absorb the power of gun thrust far better than any other dot sight. Its anti-glare reflective coated lenses will ensure better optical clarity. The windage and elevation can be easily adjusted with the help of an Allen wrench. There is an integrated mounting system for any 20mm RIS, Picatinny, and weaver rail. The knob enables the easy control of the reticle types. It has a tubeless design with a 33mm reflex lens aperture which will provide the shooter or hunter a wide 15.8mx100m field of view. 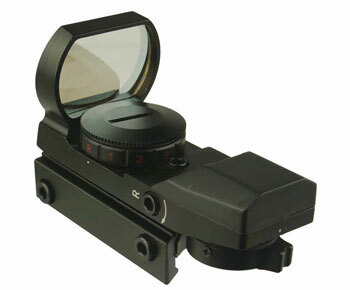 This dot sight comes with a rubber protective cover and two CR2032 lithium batteries along with the package. It offers you the maximum versatility and convenience when you shoot. It’s a very lightweight dot sight clone that comes with a budget price. Before you choose any EOTech clones for your shooting or hunting purposes, you need to know how to pick the right one. There are several aspects that need to be taken care of for any potential buyer. Here, we’ll discuss the basics features which help any clones stand out from the rest. The first thing is the body material. Most of the sights are used in heavy condition on high caliber guns and firearms. As a result, they face a lot of physical and chemical abuse during the shooting. So, every clone sights are needed to be built with strong material that can absorb the heavy condition. In that aspect, aluminum and magnesium have the upper hand. Most of the sights are made of aircraft grade aluminum that offers the ultimate strength. Another advantage of these materials is they are very light in weight and can take the repeated high recoil function without any hassle. These alloys can maintain the body structure with ease and perform superbly in all conditions. Like the holographic EOTech products, the EOTech clones do not have high caliber reticle. Instead, they have reticles with a lower price range. These reticles are simple dot types or reflex types. Also, they offer you great varieties in terms of reticle size and design. You can also have several reticle options in the clones which are kept inside the settings locked when you use. These are great functions for a low priced clone sight. These windows are similar to that of the original EOTech products. But the difference is that they have a lens that isn’t the same quality as the high priced one. However, they perform just fine for you when you need one. As the sights are made for acquiring the target quick and easy, they need to be wide shaped rectangular. Thus it will help to focus on the target comfortably. The field of view is of high importance for any gun sights. Square shaped windows are perfect for that. Don’t forget the glass quality for your scope while you buy one. The glass needs to be high grain quality as that will reduce the glare of the light source. Thus, it will provide a crisp and clear view of the target for the shooters. Brightness adjustment is a big advantage of the clone items as they provide a wide range of options for that. As a result, you can switch between different brightness level according to your need. 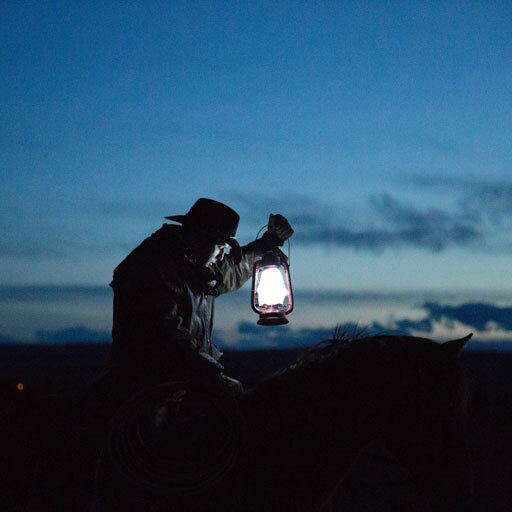 In low light situations, minimum level brightness will be good and in broad daylight, you may need higher ones. The actual EOTechs don’t have an adjustment option. So, that’s a blow for them and an advantage for the clone ones. Also, easy and smooth control of the brightness is expected for any good clones. Mounting options are also very important for a good EOTech alternative. Before buying any holographic replacements, you need to check out the railing systems that the sight supports. Although you can buy an adapter if you want, that will burden you with more cost, weight, height, and discomfort. The mounting options should be easy to handle and comfortable to mount. They also need to be okay with most of the firearm types like Picatinny, weaver, RIS, and others. As you already know that EOTech clones don’t work on laser principle rather on LED illumination, the clone sights don’t need as much energy as the original ones. The EOTech clones always use a battery as the power source. 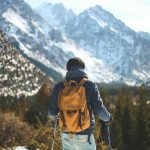 Long battery life is a must for the sights as you will be shooting outside for a lengthy period of time. So, a few hundreds of hours will be good for the battery life of the clone sights. If that is not the case for any particular type of clone sights, then you need to move on for the next option available. Gun sights and rifle sights are used in the outdoor world most of the time. As a result, they come in contact with water, fog, dust, and debris all the time. Besides, they face a huge amount of shock when any shot is taken. So, they need to be very well made and durable in those situations. They need to be waterproof, fog proof, and shockproof to deliver the best result and durability. They also need a protective cover for the lens when they are not used. Most of the sights come with one. Among all the features, shock resistance is the most important one. As the high caliber rifles produce a lot of shock during the shooting. So, the EOTech knockoff needs to be function-able after all these heavy situations. The EOTech NV series military models have good resistance in rough environment. The price is the real reason behind the innovation of the clone items. The original EOTech price can go from $400 to $1000! That is where the clone dot sights or reflex sights come very handy. They have a price range from $15 to $100!! Can you believe that? This is a big motivation behind opting for a clone EOTech. They serve alright for the buyers in all situations. So, you can save a lot from buying a clone EOTech. The EOTech holographic sight is one of the masterpieces of technology. Though they don’t offer any magnification, they are very good at providing you with a depth perception of the target. They use a 3D reticle for their holographic sight which is etched into the plate between two windows. Then, lasers are directed for illuminating the reticle. They own the patent of making true holographic sights for the users. They can serve you with maximum ease and control with moving targets. You can always fire your shot from the right and the left side of the guns. No need to align your eye with the window like the scopes. They use a projection system for capturing the view and then projecting it on the glass. It will give you a better view of the target which is clear and crispy. It also decreases the glares and ghosting of the environment. With zero magnification, you can get a depth perception with this EOTech holographic ones. This is the key feature of the costly sights that makes it so popular among the shooter community. 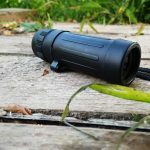 Many of the users have become a fan of EOTech 512, EOTech 518, EOTech 552-night vision, EOTech g33 magnifier & other EOTech models because of the higher quality. As these are the expensive ones, many opt for a much economical type. Hence, they go for an EOTech clone with lower price margin. The construction of the real EOTech and the clones are different as well as their working principle. Whilst a red dot or reflex sight uses LED for projecting the target on the reticle, a holographic one uses a laser for that purpose. Thus it offers a depth perception for the shooter or hunter. You’ll also get good options to replace your EOTech for ar15. For a clone red dot or reflex sight, an addition of magnification isn’t the best solution. As the red dot becomes very big because of it and precise shooting becomes difficult because of that. The reticle of the holographic sight has a zooming property that helps to increase the MOA. Thus, the target acquisition of far distance becomes easy for it. The greatest advantage of it is the movement of the head at different angles while you are shooting because of the depth perception. Because of that technological superiority, they cost high. You may also follow some forums to have more info. If you are a serious person who wants the best gears and accessories for his hunting and shooting endeavors, then clone sights may not be the best option for you. You should go for the expensive ones. But, if you want to save some bucks and have a moderate quality sight, then this is your deal. It will give you an optimum result and perfect experience. You may look for other options available, but these are the best EOTech clones for the money.